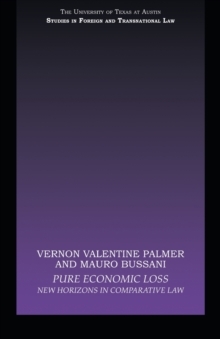 Pure economic loss is one of the most-discussed problems in the fields of tort and contract. 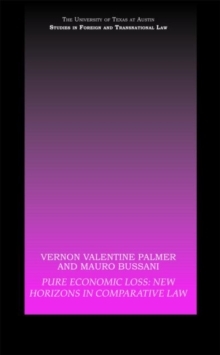 How do we understand the various differences and similarities between these systems and what is the extent to which there is a common-core of agreement on this question?This book takes a comparative approach to the subject, exploring the principles, policies and rules governing tortious liability for pure economic loss in a number of countries and legal systems across the world. 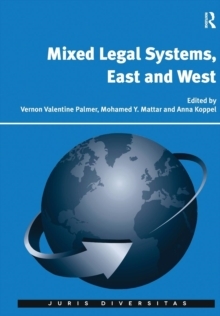 The countries covered are USA, Canada, Japan, Israel, South Africa, Japan, Romania, Croatia, Denmark and Poland, with the contributors taking a comparative fact-based approach through the use of hypothetical problems to analyze and then summarize the individual country's tort approach. 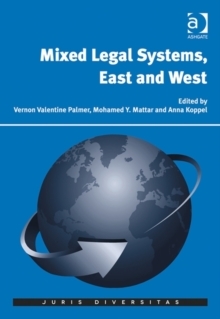 Using a fact-based questionnaire, a tested taxonomy, and a sophisticated comparative law methodology, the authors convincingly demonstrate that there are liberal, pragmatic and conservative regimes throughout the world. The recoverability of pure economic loss poses a generic question for these legal systems - it is not just a civil law versus common law issue. It will be of interest to students and academics studying tort law and comparative law in the different countries covered.